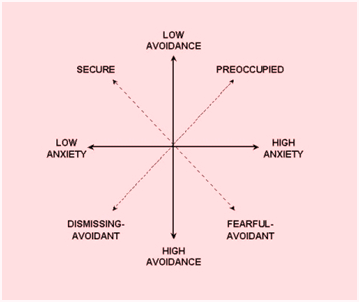 Combinations, such as Secure-Anxious or Anxious-Avoidant are 3-5 percent of the population. To determine your style, take this quiz designed by researcher R. Chris Fraley, Ph.D. Warmth and loving come naturally, and you’re able to be intimate without worrying about the relationship or little misunderstandings. You accept your partner’s minor shortcomings and treat him or her with love and respect. You don’t play games or manipulate, but are direct and able to openly and assertively share your wins and losses, needs, and feelings. You’re also responsive to those of your partner and try to meet your partner’s needs. Because you have good self-esteem, you don’t take things personally and aren’t reactive to criticism. Thus, you don’t become defensive in conflicts. Instead, you de-escalate them by problem-solving, forgiving, and apologizing. You want to be close and are able to be intimate. To maintain a positive connection, you give up your needs to please and accommodate your partner. But because you don’t get your needs met, you become unhappy. You’re preoccupied with the relationship and highly attuned to your partner, worrying that he or she wants less closeness. You often take things personally with a negative twist and project negative outcomes. This could be explained by brain differences that have been detected among people with anxious attachments. If you avoid closeness, your independence and self-sufficiency are more important to you than intimacy. You can enjoy closeness – to a limit. In relationships, you act self-sufficient and self-reliant and aren’t comfortable sharing feelings. (For example, in one study of partners saying goodbye in an airport, avoiders didn’t display much contact, anxiety, or sadness in contrast to others.) You protect your freedom and delay commitment. Once committed, you create mental distance with ongoing dissatisfaction about your relationship, focusing on your partner’s minor flaws or reminiscing about your single days or another idealized relationship. 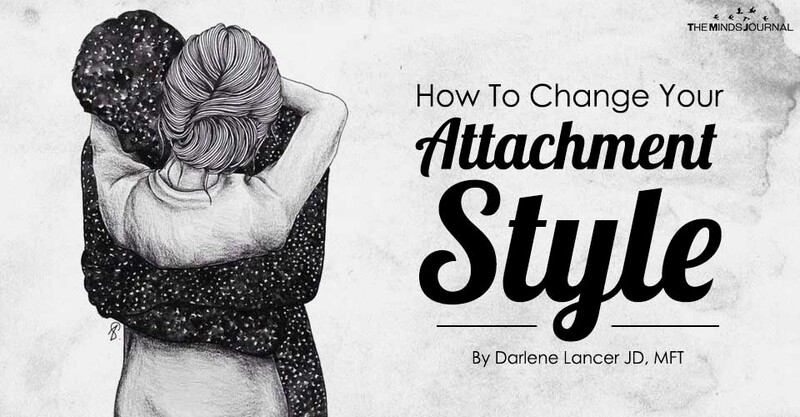 Just as the anxiously attached person is hypervigilant for signs of distance, you’re hypervigilant about your partner’s attempts to control you or limit your autonomy and freedom in any way. You engage in distancing behaviors, such as flirting, making unilateral decisions, ignoring your partner, or dismissing his or her feelings and needs. Your partner may complain that you don’t seem to need him or her or that you’re not open enough, because you keep secrets or don’t share feelings. In fact, he or she often appears needy to you, but this makes you feel strong and self-sufficient by comparison. You don’t worry about a relationship ending. But if the relationship is threatened, you pretend to yourself that you don’t have attachment needs and bury your feelings of distress. It’s not that the needs don’t exist, they’re repressed. Alternatively, you may become anxious because of the possibility of closeness no longer threatens you.